I love wine -- no secret. I also love wine glasses. I once had a GORGEOUS set of emerald green glasses with a gold rim. That is, until Morgan decided SHE wanted them. There is one left. 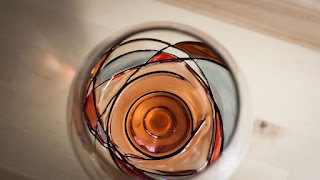 Needless to say, I was ecstatic when offered the chance to review the stunning mouth-blown, hand-painted wine glasses from Valentina Paris. Each one is a unique piece of art. 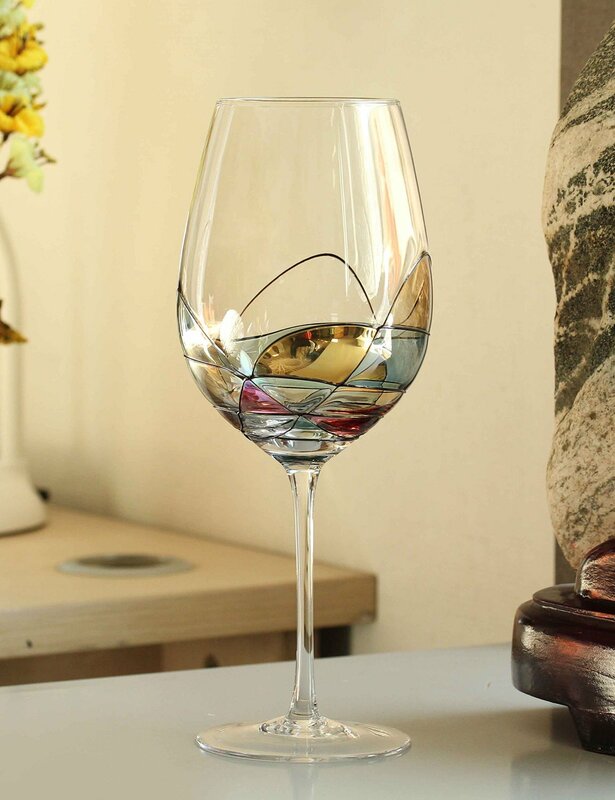 These amazing wine glasses are over-sized, the mouth is wide which allows the wine to bloom. They are not 'just' glasses, however. They are usable works of art. Seriously, I don't know whether to drink from them or display them! Well... truthfully... Morgan's already called dibs. So she'll have to make that choice! 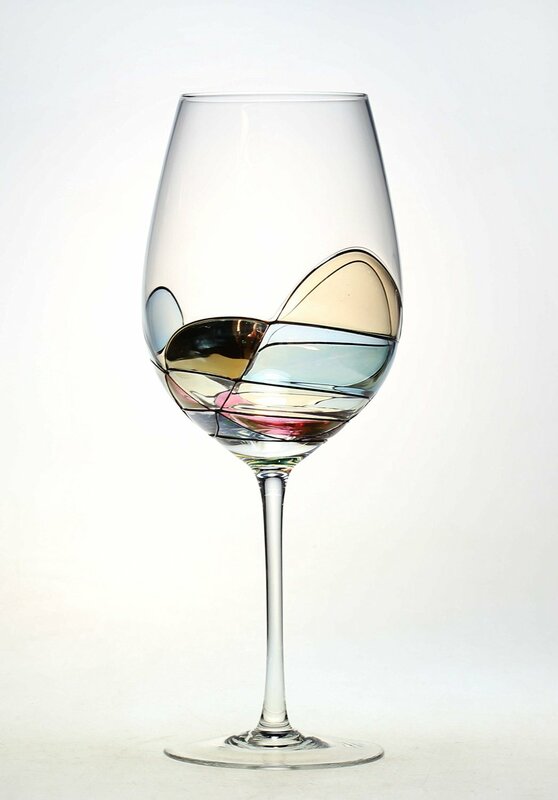 One of the most amazing things about these glasses is the way the colour of the wine sets off the stained glass effect of the painted design. Rose, Red, White, or the deep purples of the Beaujolais complement the design and give it depth. 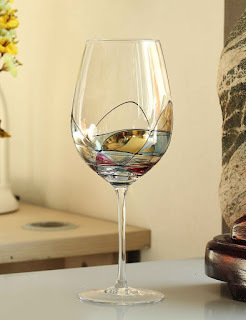 I received a set of two glasses for the purpose of review. All opinions expressed herein are my own and based on my own use of and experience with the item(s).